I know for myself I am always looking for extra space in the kitchen. Any kind of organization ideas I can use is always helpful. I seem to have odds and ends in the kitchen that just dont seem to have a home. 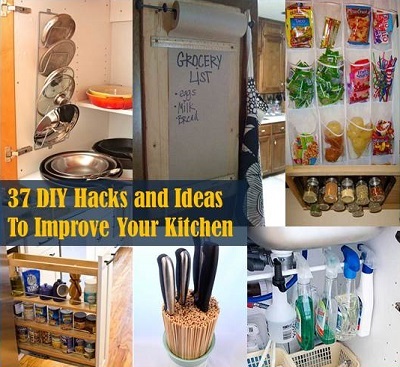 Well here is a great roundup of 37 Ideas to improve your kitchen. Have a look through this list as I am sure that you will find some usefull ideas just as I have.